With ambition, determination and mutual trust, two young Welsh farmers have pooled resources to establish two successful dairy farm businesses. Barry Alston finds out why the partnership proved their critics wrong. Two farmers’ sons – one from Cheshire and the other from Anglesey – have teamed up to take a leap of faith and make their mark in dairying. Jonjo Roberts and Matt Venables, both in their mid 30s, met up when Jonjo was working as a chartered surveyor and Jonjo expressed a yearning to return to his farming roots. Born on an Anglesey beef and sheep farm, he graduated from Harper Adams University before going on to gain full rural surveyor accreditation in a career which took him to postings from Leicestershire to Cheshire. It was during this time he met up with Matt and his family who were farming three dairy units near Congleton, Macclesfield and Chester, as Jonjo explains. Fortunately, Jonjo had the backing of the half owned-half rented Mynachdy Farm, with its 240-hectare (593-acre) effective grazing platform at Llanfairynghornwy, near Cemaes Bay, which had been farmed by his family for 60 years, while Matt had the considerable experience of farming with spring-calving dairy cows. After many discussions, the pair found they were compatible and drew up a workable business plan based around a 50-50 joint investment venture agreement, secured the necessary financial backing and successfully negotiated a milk supply contract with Arla. 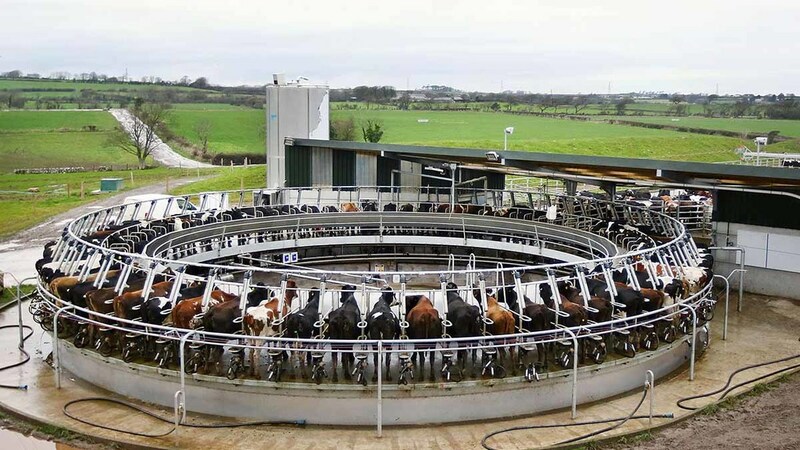 With no dairying facilities whatsoever at Mynachdy the priority was installing a milking parlour and stocking up with cows as quickly as possible to pay for it. Given the unique micro-climate of Anglesey’s north western coastal strip housing was not considered a necessity, with the cows being kept outdoors all-year-round on a New Zealand-style spring-calving system. The entire grazing area was reseeded, a network of cow tracks laid down and in went a 46-92 herringbone parlour and a collecting yard. That investment was soon followed by the arrival of 640 near to calving New Zealand Friesian cross Jersey heifers – 50 per cent being sourced from Ireland and the rest coming from Matt’s existing dairy herds in Cheshire. The cows are wintered on areas of support ground and start calving on February 1, with the cows going straight on to the grazing platform and remaining there until drying off at the beginning of December. “Yes, the milk price drop hit us pretty hard but having made the investment and the capability of being able to produce milk at the lowest cost possible it was a case of grinning and bearing it in the hope things would improve in time,” he adds. The unit, a 250ha (617-acre) grazing platform, is 25 miles away on the southern edge of the island. Bryn Celli Ddu, at Llanddanielfab, is on the Plas Newydd Estate and became vacant following the passing of the previous occupier. “Yet again it had always been a beef and sheep holding with no dairying facilities whatsoever. “Basically it was a case of adopting the same all-year-round outdoor policy as with our initial venture – reseeding, laying down cow tracks, electric fencing and installing water troughs across all the grazing areas,” says Jonjo. Perhaps the most difficult decision of all was to decide what parlour to install – whether to go for another herringbone or perhaps looking ahead to further expansion invest in a rotary. “Given the scope of opportunities the farm offers to increase cow numbers we settled on a 70-point Waikato unit but with a rather unusual twist,” says Matt. “Siting the parlour on a Greenfield site and without a roof meant a capital saving of more than £40,000, helping to reduce our total investment to around the £450,000 mark. “Anglesey’s milder climate helps make an open top a viable proposition. “The cows are outdoors anyway so they are used to the open air and we have had no opposition from the staff. On the contrary they say they like the fresh air." Having the equipment open to the elements is not a worry for the pair either. Complementing the parlour is an 850-cow collecting yard, complete with an automatic backing gate and a four million gallon slurry lagoon to take the yard and parlour washings. 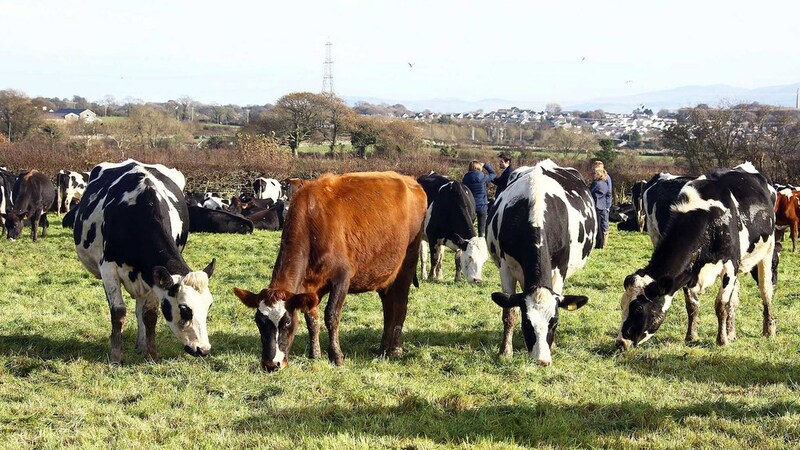 Planning permission has also recently been obtained to create a concrete feed apron in order to keep the cows of the ground during the dry period, which will also free up additional ground for early grazing. “We have not adjusted any of the field boundaries, but they can be easily split with electric fencing based around 12-hour grazing periods on a 21-day cycle,” says Jonjo. “As far as machinery goes we run a very tight ship, with only one tractor being owned by the joint venture and while we will do a little liquid fertiliser application ourselves we rely on contractors for silage making and most of the other day-to-day farming jobs. They will have block calved 90 per cent of the cows by April 1 and the average yield currently stands at just under 5,000 litres per head, with butterfat at 4.6 per cent and protein at 3.9 per cent. 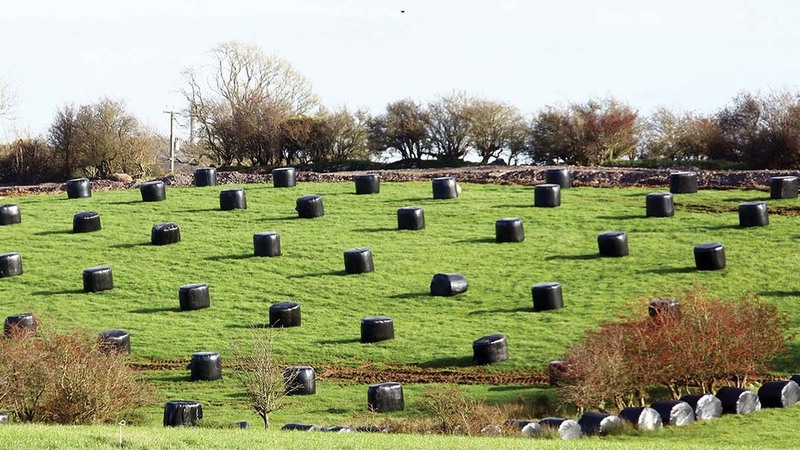 “Unless growth gets ahead of grazing all the winter silage needs are big bale made from support areas spread around the farm and concentrates are flat rate fed in the parlour,” adds Matt. Staffing on each farm runs to three full-time employees and all have been on training courses covering AI, foot trimming and herd management. “With Holyhead’s ferry links to Ireland two of the team are Irish and the rest locally-based, with the oldest being 28 and we listen to what they tell us – a factor we see as being one of the key elements in maintaining staff morale,” says Matt. “We see our roles as a two-way venture by being able to help them get into the industry and maybe one day building up a dairy herd of their own." Both Jonjo and Matt believe their joint-venture is working extremely well. “We have common goals and continually throw around ideas during our regular meetings,” says Jonjo. “Perhaps the best advice for anyone thinking along similar lines would be to keep the system as simple as possible, keep the costs as low as possible and have the confidence to carry on should milk price levels fall back. “In reality had we listened to 98 per cent of the people who thought I was mad to get into dairying, I would never have done it and just how wrong that would have been. “My work as a chartered surveyor involved visiting both large and small farms and gave me a good grounding in what systems were working well and which were not. “It became very obvious that no matter what the system is, be it spring, autumn or all-year-round calving, just as long as you know what you can achieve and be very good at getting there, you can make it work. “Going forward, should the opportunity to set up another unit come along I think we would go for it – possibly taking some of the staff with us on some sort of a share-farming arrangement. Next: User story: How does a six-wheel ATV compare to a quad?